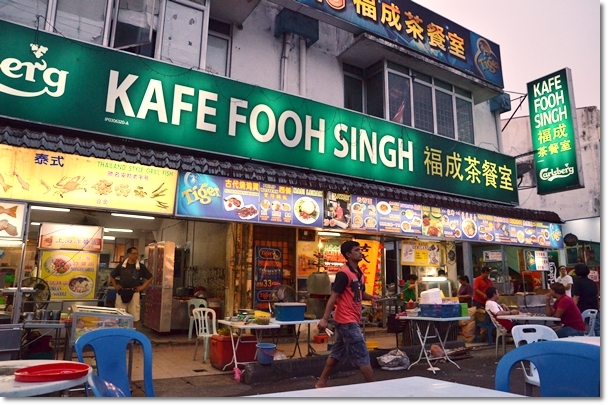 A great deal of time was spent back in the late 90’s hanging out at places like Fooh Singh (actually, most of us still refer to this place as Fook Sing, like how it should be pronounced), and Tong Sui Kai. The Saturday nights, the period of time between closing hours of Jusco Kinta City and the next midnight show, and the post-clubbing sobering up sessions after madness @ Timezone/Yahoo/Discovery. 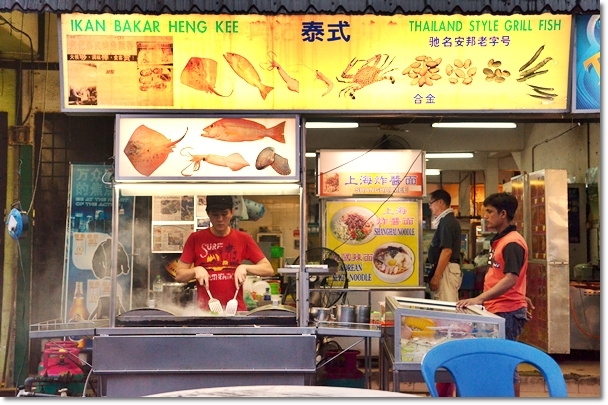 Most patrons visiting Fooh Singh back then and even until now will attest to the popularity of this grilled fish stall named Heng Kee (though I doubt many know the stall’s actual name, instead referring to them fondly as Fook Sing’s “Siew Yue”), perpetually busy and shrouded in a cloud of smoke (refer to the top most pic), and churning out plate after plate of grilled and stir-fried seafood and vegetables on a layer of banana leaves. The secret to their success could be solely due to the taste; an arresting potion of spicy, piquant, sour, sweet and savoury; and definitely more so for their fresh seafood (pick from a variety of fishes, crabs, prawns and shellfish). But to me, the sauces they slather all across the grilled fish; which in my case I almost always pick the stingray, are splendid. One side of the fish will be served with a gritty Sambal concoction with dried shrimps that lent a certain pungent, robust oomph to the fish, while the other side will be liberally doused in a spicier and sourish chili paste. If the sauces are not enough, you will still get saucer plates of condiments made up of finely-blended cili padi, a squeeze of calamansi and probably vinegar. Delicious. Stir-fried greens like the crowd favourite “4 Dai Tin Wong” (Four Heavenly Kings) – stinkbeans (petai), four-angled beans, ladies’ fingers and pucuk paku (fern shoots) is a nice complement to the feast, while I prefer their stir-fried squid with four angled beans and onions in a sambal sauce with a kick. Squeeze all the juices from the calamansi and this alone will go great along with copious amount of white rice. Which by the way, they serve as well. The other items worth mentioning are the clams and big prawns pan-fried on the griddle, served simply with their chili sauce. One thing that I noticed after repeated visits to Heng Kee was that, the owner or rather the one manning the stall has always been a different person. At times you get a bunch of young ones, sometimes the owner himself and his wife whom have run the stall for many years. This time? Was a sole young dude helped by a few foreign workers. Ownership wise I am not sure if Heng Kee is still owned and run by the same Mr Wong, but the taste still does not run far from the initial experiences. 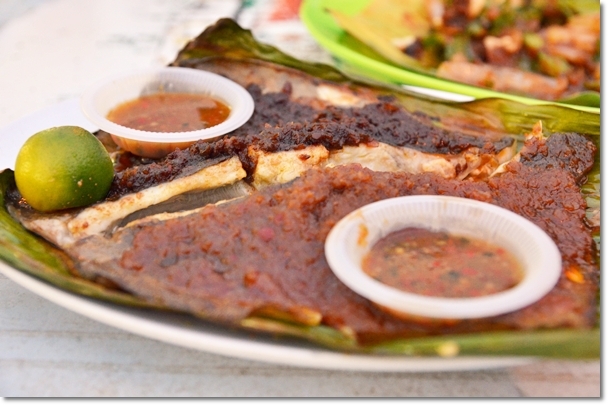 Anyway, if grilled fish is not your cup of tea then go for the many other hawker fares there. 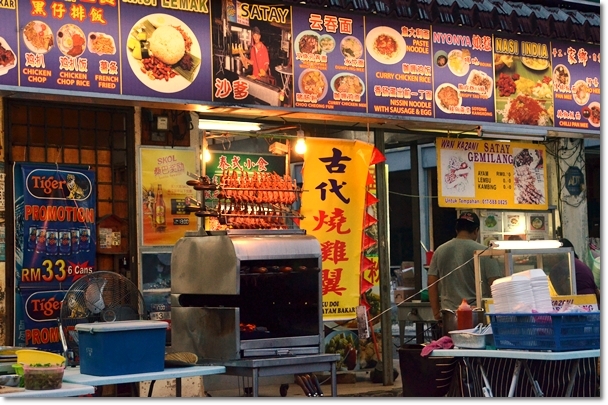 You can order anything from any of the stalls along the street. There used to be a Hor Hee stall here that served quite a satisfying bowl of soupy noodles with a myriad of fish paste until late hours of the night. 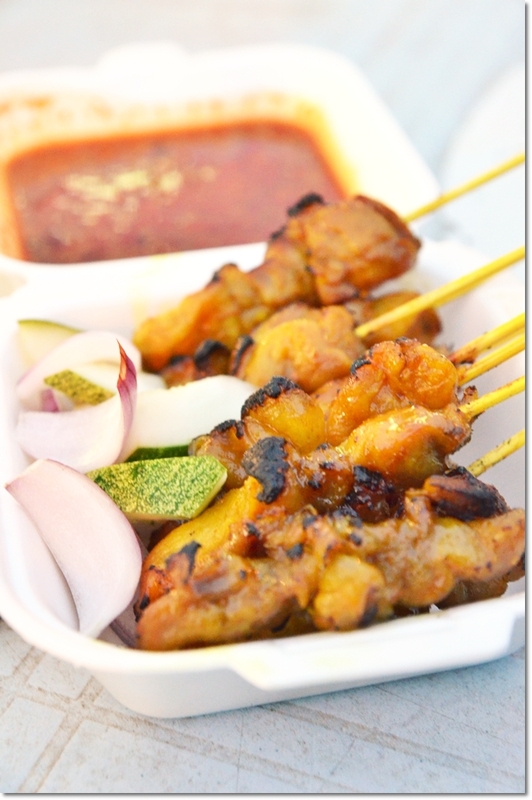 The satay was passable, and far from what Satay Endut is dishing out. The claypot chicken rice was pretty good as well, and the grilled lamb cutlets from an isolated shop further up the road next to Cosway Pharmacy. Forget about the Shanghai mee from a stall parked within the premise though, that was one forgettable plate of noodles with minced pork. From two coffee shops about a decade ago, the entire street has been lit up with incredible selections (at times repetitive) and you are free to sit anywhere you want and order from different stalls within the vicinity. Just not your drinks, of course. Ipoh folks, consider yourself lucky for it’s only the haze that troubles you thus far, and not the water woes. Motormouth has spent the weekend planning for water rations for the next few days. What a start to the month, and what a Merdeka to remember. Happy Sunday, hungry ones. Opens from 6pm onwards until about 2-3am. *This area is behind of Jusco Kinta City and Tesco Ipoh Garden East. 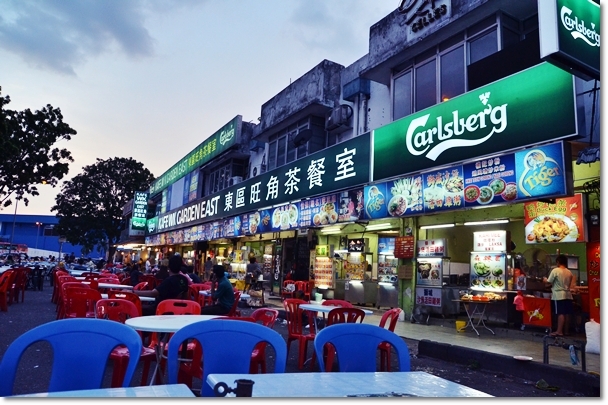 There are a lot of eateries within the area. Yo, bro, pics NOT showing in blog post. have to click on links to view them. New format? 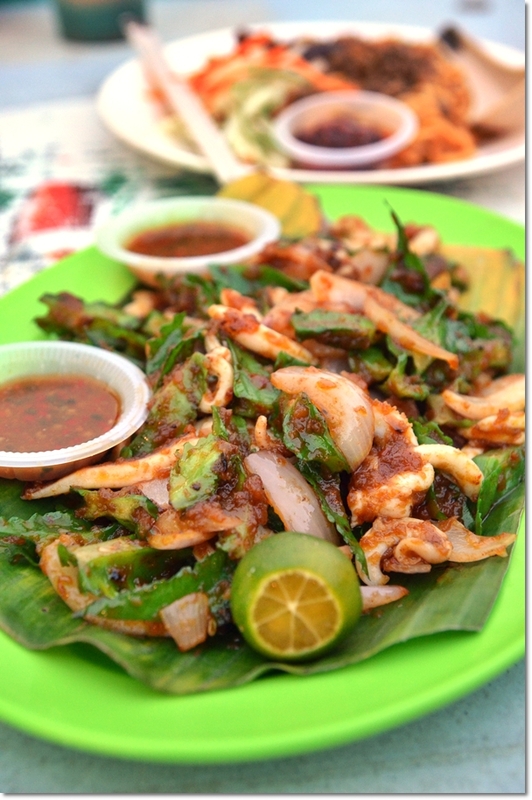 Not a fan of grilled squid but that is one very delicious looking plate that you have there! The shanghai noodle was one of the best dish I had along strip.i highly recommend the dish.i would order the noodle again. by the way , it s still the same owner anw it s just that sometimes their daughters and cousins helped out there . And and i have beeen going there since i ve moved to ipoh . It s one of the best ipoh food i ve ever tried . And also MUST TRY “LALA” and also the “CHAO SI HAM” .